This fiery maxim seems to have inspired the journey of Uplift Humanity from USA to India for six years. 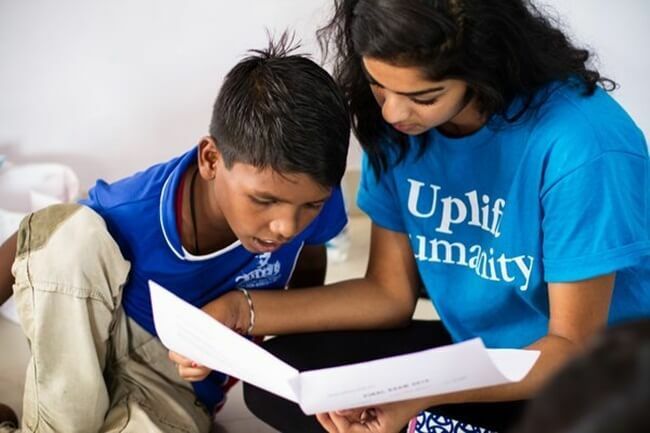 One of the US-based nonprofit organizations that work in India, Uplift Humanity successfully completed six years in rehabilitation of orphans and juvenile criminals through education across India. Incepted in 2010, Uplift Humanity India has spread out to Hyderabad, Delhi and Gujarat. The sixth anniversary coincided with the launch of its new center in Mumbai. With its motto, “By teenagers, for teenagers,” the New York based organization brings a team of young volunteers from the United States to empower juvenile inmates and orphans with special academic curriculum based on life skills at its rehabilitation centers in India. It continues to shape the lives of the underprivileged with programs on self-esteem development, anger management, peer monitoring, decision making, public speaking and daily etiquettes. Over the past six years, 250 volunteers from USA participated in rehabilitation programs at the Indian centers of Uplift Humanity India and made a difference in the gloomy world of more than 500 juvenile inmates by instilling confidence in them for a better life ahead. The organization has donated over Rs. 250,000 to award scholarship for higher studies or vocational programs to those who have shown positive signs of improvement during the rehabilitation training. The founder of Uplift Humanity India hails from the Indian American community in USA. 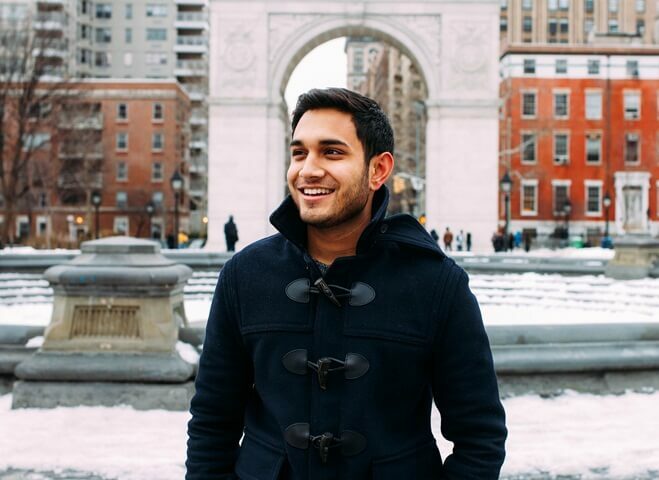 How the organization came into existence is an inspirational story of what made Anish Patel, who was a high school student then, plunge into social service. Anish Patel from New Jersey, who ancestrally belongs to Gujarat, was on summer vacation in India. A group of children playing behind the rusty gate of a dilapidated juvenile detention center caught his attention through the glass window of a car at a traffic signal in Vadodara. The miserable condition of the kids touched his raw nerves and set him on a journey in quest of what put them behind the bars. He found that they were juvenile inmates for committing crimes under economically unfair circumstances and many of them were orphans. Further exploration depressed him with the fact that a huge number of such children are ill-fated to suffer in the wilderness due to lack of education and life skills. Anish returned to the US with a heavy heart and a resolution to do something for those socially challenged children in India. His sympathy for them and hope of a better future for them gave birth to Uplift Humanity India. Indian American Anish Patel believes that education is a right, not a privilege and that education is the best medium to rehabilitate juvenile inmates for a better life. With the help of his family, teachers, friends and several institutes in USA, he developed easy-to-implement instructional training programs for rehabilitation of underprivileged children behind the bars. Anish Patel’s Uplift Humanity India works in two processes: one comprising year-round academic programs and the other comprising an annual summer program. The continuation model of his rehabilitation program involves local educators in teaching juvenile inmates at the Indian centers of the organization. The same curriculum for development of life skills is followed at secondary public schools where children from impoverished communities read in Gujarat. Uplift Humanity India conducts special summer programs, once a year, on basic hygiene, relationship building, goat setting, confidence building, anger management, etc. for rehabilitation of juvenile inmates in India. Besides, Anil Patel funds three scholarships worth INR 50,000 in total for higher education each year. Three juveniles who show great improvement during the rehabilitation program are awarded the scholarship at the end of summer sessions every year. It has donated 25 computers to each of its centers in India so that juveniles could continue computer literacy programs. It has also donated three air conditioning units to provide a cozy learning environment to them. It also provides for diagnosis of the juveniles for any learning or developmental disability. Their medical reports require the government to treat them individually so that the playing field can be leveled for them in society. Uplift Humanity has also donated over 1000 advanced books to rehabilitation centers in Newark and India. Hollywood actor Arjun Gupta is the current brand ambassador of Uplift Humanity India. His fan following helps the organization to connect with youngsters who are willing to join the programs and offer their services as volunteers. “55% of juvenile criminals are either illiterate or limited to primary education, according to Wall Street Journal. Only 6 years of service to humanity is not enough. We have a long way to go and many milestones to reach. We will continue our mission to send juvenile inmates and orphans back to school,” says Anish Patel, the founder of Uplift Humanity India. Travel Beats by IndianEagle, a leading travel organization for Indians in USA, is an Indian American community portal publishing inspirational stories and interesting news from the US and India. Awesome work. Can i get any chance to slip the children directly. I am a trained experienced Montessori teacher. Unfortunately now In IT field. Hi Deepa! Nice to see your interest in the work done by Uplift Humanity. Please be advised to visit the website of Uplift Humanity India and find their contact details. Wish you all the best!